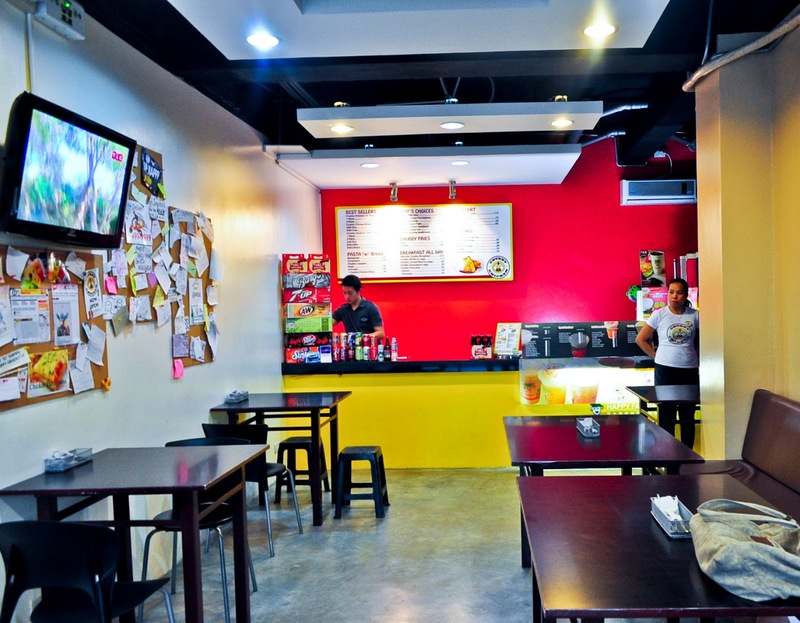 Giveaway Ended: Chubby Chicken Katipunan- 100% Chubby-fied + Giveaway! A new player in the chicken restaurant business has been making name throughout the food central district of Katipunan. Yes, the same area where the "big" players like Bonchon, Chicken Charlie, and Manang's Chicken decided to make into a battleground. Chubby Chicken is the brainchild of siblings EJ and Raine Santos who partnered with their longtime friend Chef Aone Rebueno. 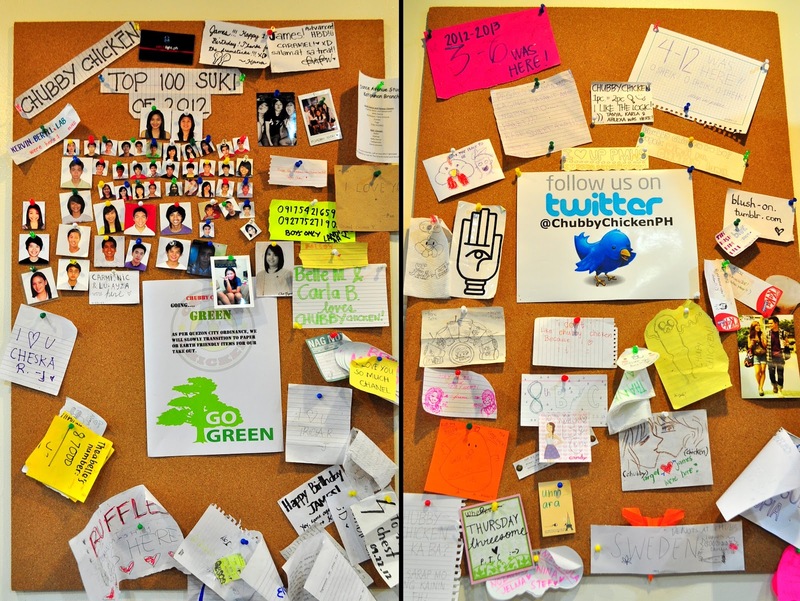 After several event participation in various colleges and universities, Chubby Chicken has already gained a number of followers from the student sector. 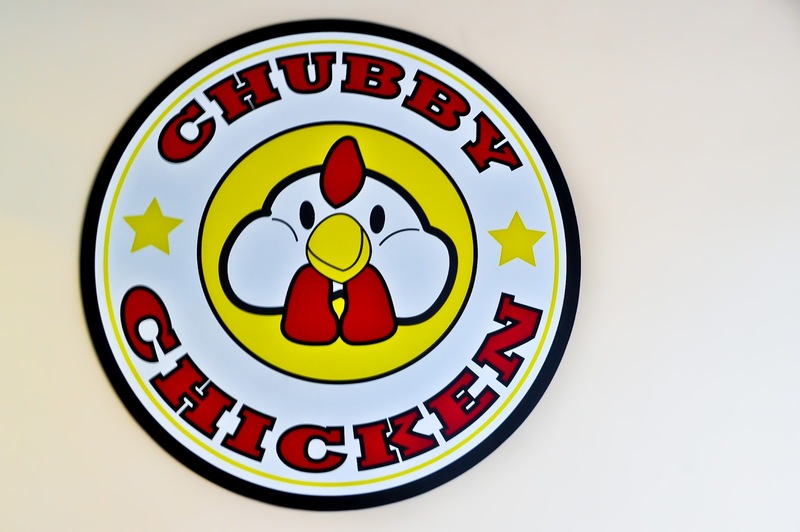 A regular weekday at Chubby Chicken includes group of students who would willingly occupy the last available table for two and long lines of customers who patiently wait for their turn to be chubby-fied. To avoid the Chubby Chicken rush, we decided to visit on a Sunday afternoon when there's no classes. 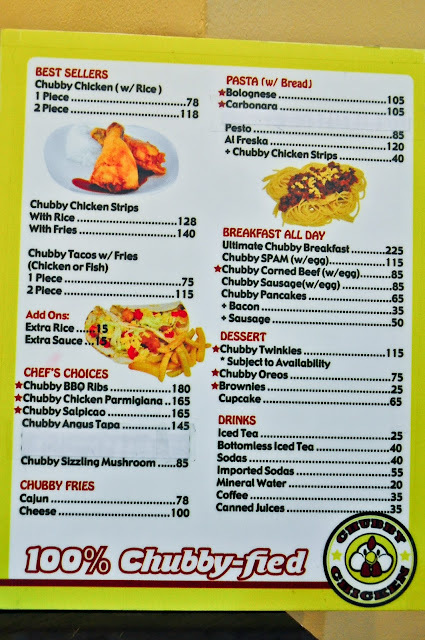 A visit to Chubby Chicken wouldn't be complete without trying their famous Chubby Chicken that is available in leg or wing. It's like a pre-requisite to a complete chubby-fied experience. So what makes their chicken stand out among their competitors? Size. Chubby Chicken is significantly bigger in size compared to others. In fact, when the supply of their chicken is quite small, they would automatically give an extra piece! Their serving is based on weight to ensure that every order would equally satisfy their customers. Taste. Chubby Chicken has a nice balance of salty-sweet combination from the chicken glaze sauce complemented by the creaminess of their signature garlic cream dip. It wasn't overly sweet with a medley of oriental flavors that suits the Filipino taste. Texture. Chubby Chicken has a nice crunchy layer of skin with juiciness and from inside and out. This is brought about by the baked-then-fried process that makes every piece tastier and yummier! 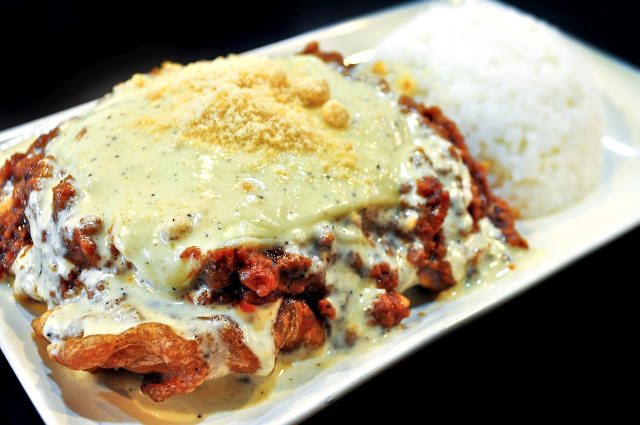 Another dish to try is their Chubby Chicken Parmigiana which is crunchy coated chicken breast fillet topped with meaty ground beef, garlic cream dressing, cheddar and Parmesan cheese. The moment it was served on the table, I thought it was lasagna. It looked so appealing and enticing that we immediately dug into the plate of melting cheesy goodness atop the tender and juicy chicken fillet. And yes, it actually tasted like lasagna without the pasta. Sooo goood! Chubby Chicken isn't all about chicken 'cause they also serve fish dishes like this Chubby Fish Tacos w/ Fries. Served in a soft whole-wheat tortilla wrap, a chubby fish tender is covered with their signature garlic cream dressing and finished off with generous amount of grated cheese. Although I found the amount of dressing too much for my fish tacos, it wasn't overwhelming to the taste. And here at Chubby Chicken, special requests are always welcome depending on your food and taste preference. Chubby Chicken also has imported sodas like IBC Root Beer that couldn't be found in other restaurants. I'm not much into sodas but I must say that this is the best Root Beer Float I've ever tasted! For dessert, try their take on the classic Wicked Oreos called Chubby Oreos. 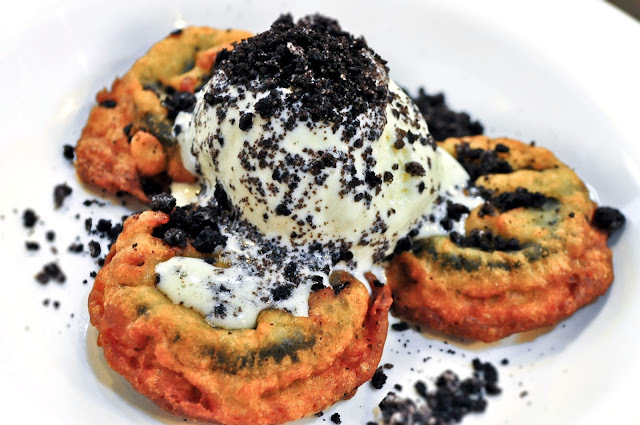 Three pieces of our favorite Oreos encased in a nice crunchy batter made ala mode then sprinkled with more crushed Oreos for an additional crunch in every bite. With less than a year of operation, Chubby Chicken already gained avid customers and fans all raving about their food. Everyone is encouraged to post anything (yes, even 1x1 ID pictures) on their cork board to show that they've been 100% chubby-fied! With this, our friends from Chubby Chicken want to give away a P300 gift certificate to one lucky reader. With their affordable menu prices, the winner may even bring his/her friends along. Just follow the simple mechanics (Rafflecopter) and you might just get yourself CHUBBY-FIED! In case I win I'd like to try the Chubby Chicken with rice, Angus Tapa, BBQ Ribs, Chubby Oreos and Chubby Chicken Parmigiana ay abunado na lampas ng P 300. Ha ha ha! Ang sarap ng nasa Pictures mo Beryl nakakagutom!!!! Hi Beryl, I am interested to be Chubyfied with Chubby Fish Tacos. It looks so yummy. the chicken looks really yummy. did you edit or it reallylooks so tasty and mouth watering in actual? Chicken Parmigiana! It looks so tasty!!!!! i would definitely wanna try! so far, my favorite among the similar restaurants is still bon chon but their chicken is so small. I would love to try the Chubby BBq ribs! i want to try the Chubby Chicken Parmigiana ! Hi Guys! Check out Ensogo's deal for Chicken-All-You-Can at Chubby Chicken!! I want to try Chubby Twinkles! 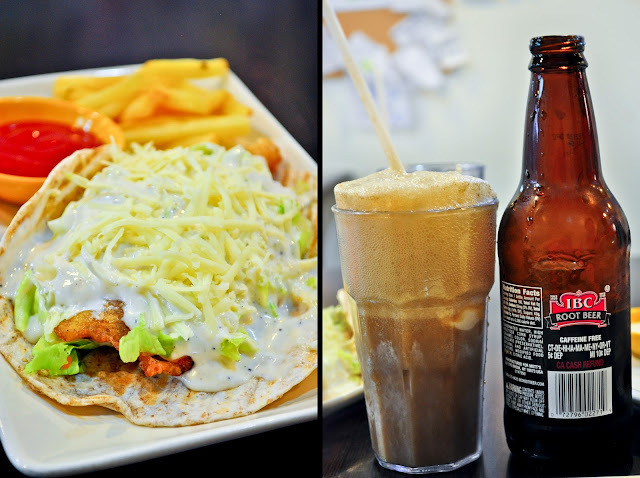 I saw Chubby Twinkies in the menu,I really want to try this one..Craving for it now..
Chubby Fish Tacos w/ Fries and IBC Root Beer Float, what a perfect combo! I WOULD LOVE LOVE LOVE TO TRY your ULTIMATE CHUBBY CHICKEN!!!!! Freshly Prepared Chicken and Very Delicious Food! 100% Chubby-fied!! 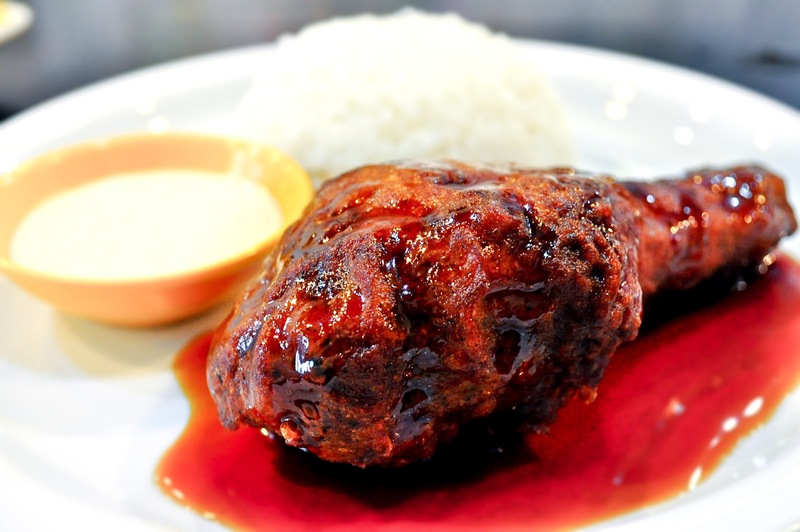 The best seller chubby chicken with rice! I'd love to try Chubby Chicken and Chubby Oreos! They both look yummo!!! I wanna try the chubby oreos. Asa a dessert lover, this one looks really delicious! I want to try the Carbonara! Chubby Chicken Parmigiana WOW! :P~ MOUTHWATERING. would love to try the Chubby BBQ Ribs! I love to try your house specialty Chubby Chicken to complete my Chubby experience! I would love to try Chubby Chicken Strips! I like to try Chubby Chicken Parmigiana! I would love to try Chubby BBQ Ribs, my daughter also love it.